When Randy “Macho Man” Savage first entered the WWF it wasn’t a cliché to say that he took the federation by storm. He had uncontrollable intensity, a flashy look, a gravelly voice, lightning speed and a unique move set that made Savage completely unique for the WWF in 1985. Throw in a doe eyed ingénue and you had a recipe for success that was surpassed by few. From 1985 to 1992, Savage was one of the WWF’s most valuable commodities, always on the top of card and quite often putting on one of the best matches of the evening. When Savage departed to WCW, he remained a key figure there and was a huge part of their ascent to the top of the wrestling world in the late 90’s. Always a fascinating figure, he leaves behind a legacy of great matches and strange behavior and a touch of controversy everywhere he went. Why he is seemingly exiled from Stamford has been up for debate for years, but his contributions to the wrestling community are certainly unquestionable. Sadly, with his recent passing, The Macho Man will never see the induction that he so richly deserved...should it ever come at all. If the rumors are true that he deflowered a teenage Stephanie McMahon, it explains the perceived grudge that Vince has against him. Should Randy Savage be in the Hall of Fame? 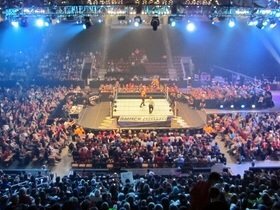 Buy your Tickets to see WWE at Stockton Arena in Stockton, CA HERE for as little as $52! Buy your Tickets to see WWE Live at Save Mart Center in Fresno, CA HERE for as little as $47! 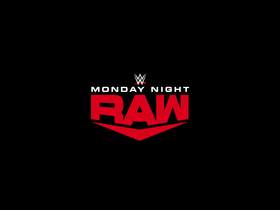 Buy your Tickets to see WWE Raw at SAP Center in San Jose, CA HERE for as little as $39! Buy your Tickets to see WWE at Golden 1 Center in Sacramento, CA HERE for as little as $63! My only question is what took them soooo long!!!!!!! I just wish this could have taken place before we lost him! To have heard that raspy "ohh yeah!!! Just one more time as he entered the pantheon would have been so much better. Looks like time ti update for the macho man! OOOOOOHH YEAH! Class of 2015! Punk will eventually be ranked very high, but for now he will stay in the "Future" section. Although we don't think he will go back (but in wrestling never say never is more true than any other field), it seems premature when he was still younger than 40. Yes.... We will revise it after Wrestlemania . If they do let the late great Macho Man Randy Savage in then they should induct Miss Elizabeth and Lanny and Angelo Poffo at the same time. If it's true and he did deflower Stephanie when she was 14, why the hell didn't they prosecute? He never would have worked again for committing such a heinus crime. McMahon would have done more than do a silly character based on him who complained of thinning hair. I'm sorry, I don't buy it.